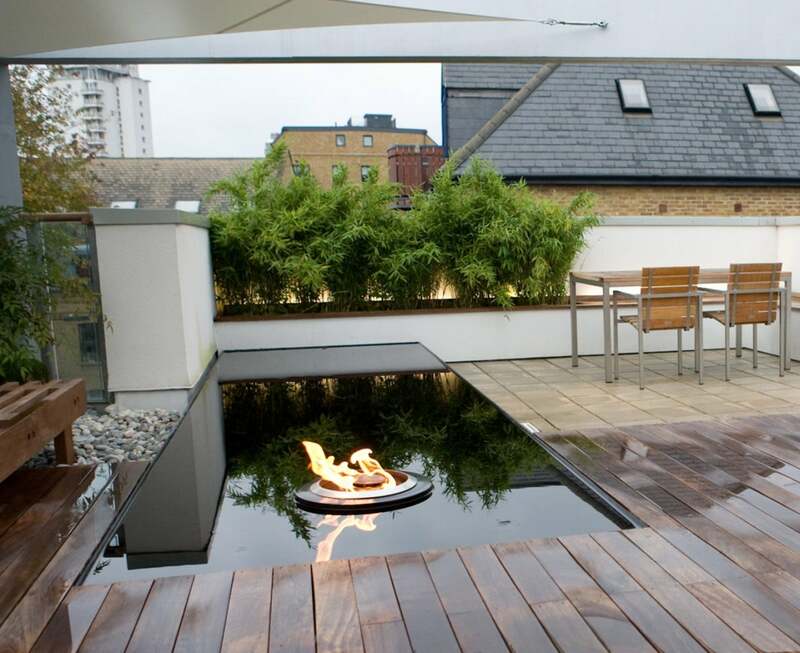 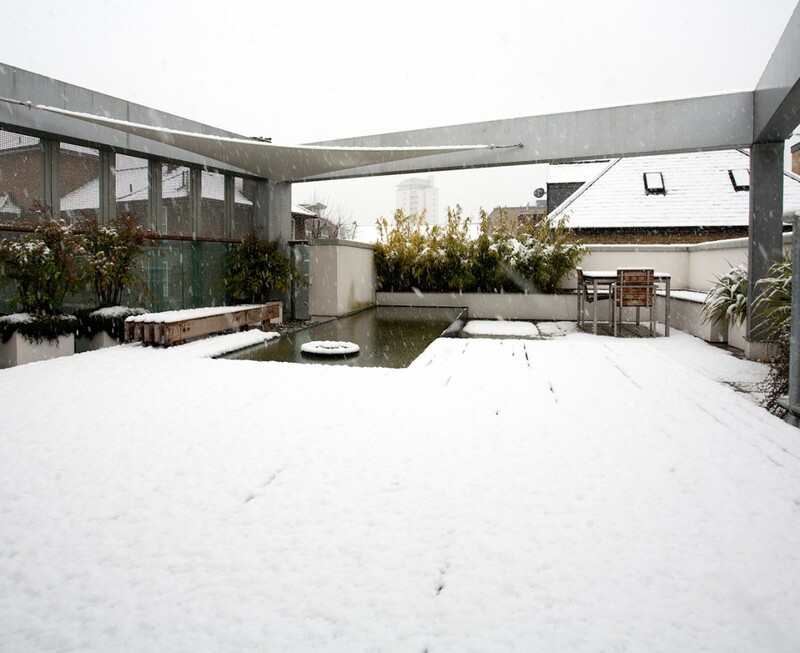 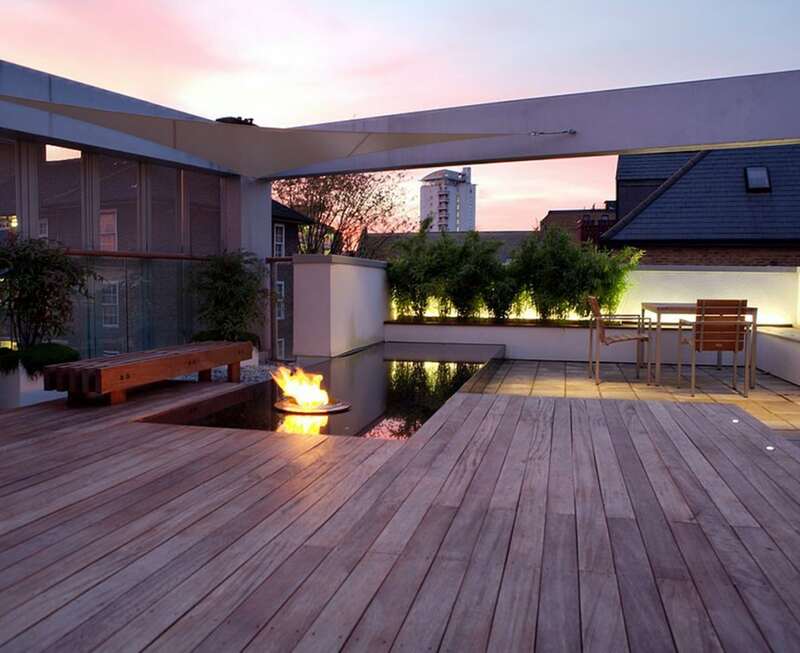 Designed for a young professional this roof garden had to be simple and sophisticated and easy to look after. 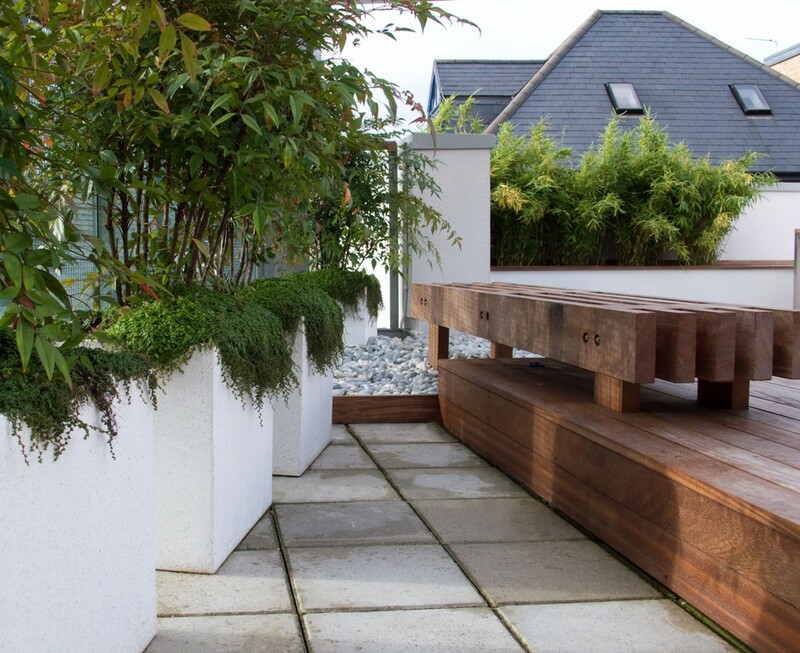 There were many restrictions regarding weight and heights of existing parapet rails so although the end product looks simple the process was not. 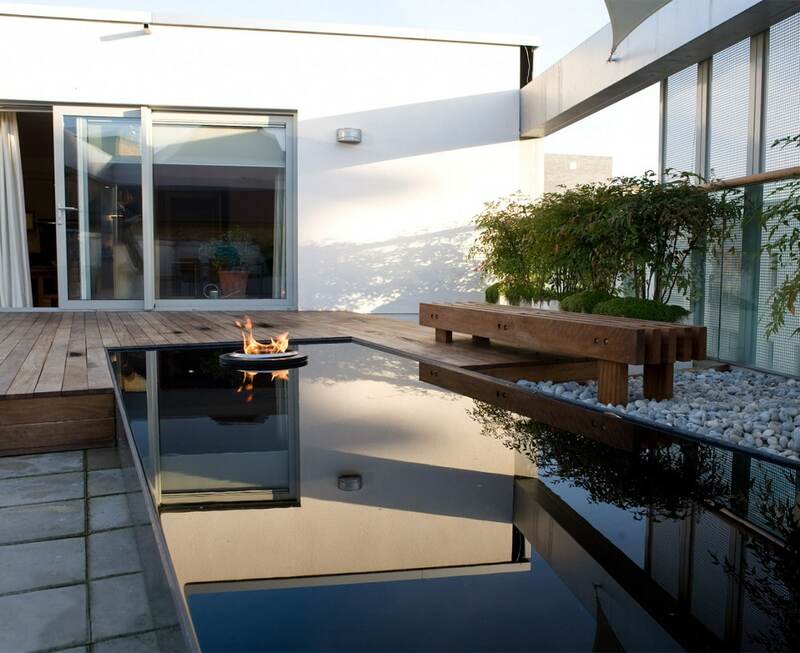 We were unable to alter the existing roof surface and so I decided to introduce several strong elements that could be placed on top. 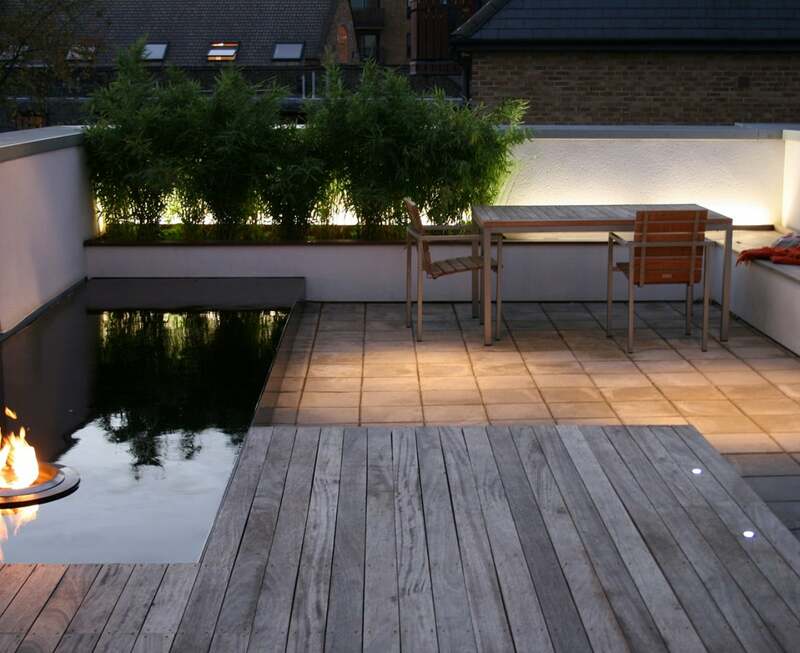 The large deck brings a change in level to make the seating area feel more enclosed and intimate and the large pool is made from acrylic which is in fact only a few centimetres deep to reduce weight. 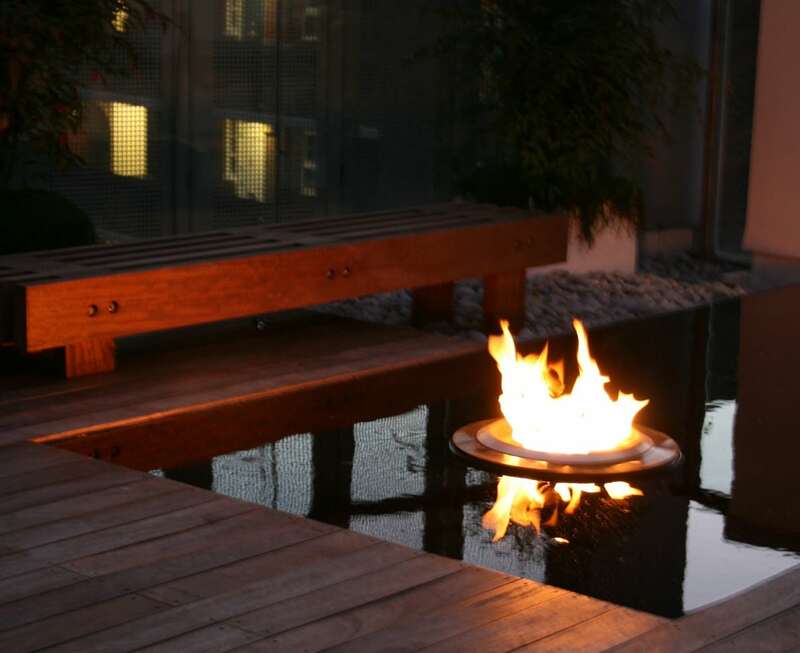 Lighting is very important and the gas fire provides light as well as heat and is operated from a remote control.